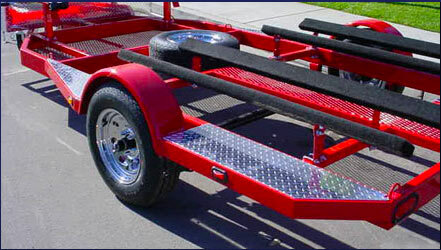 Large front and rear polished aluminum diamond plate steps that taper from the front, all the way to the rear of the trailer. The large front mesh storage area has plenty of tie-downs for securing extra gear. One will appreciate the extra footing that it provides as well. 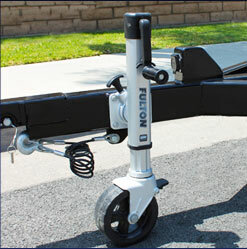 The Fulton F2 winch enhances the Shadow trailer with both performance and style. Its clean, high-tech look is completely encosed, sleek, and powerful. Our recessed LED lighting (which is submersible) provides protection as well as enhances visual appeal. 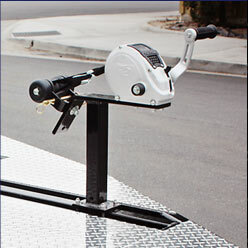 The Fulton F2 swivel jack, which is standard on all of our trailers, is the most efficient jacking system in the industry. 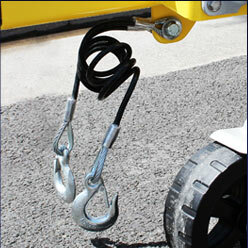 Our dual safety cables are precoiled so they won't drag on the ground - just click on and go. The tubular (box) steel construction makes our trailers stronger and also conceals the wiring enhancing the trailers appearance. 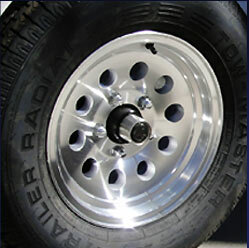 We have chosen longer lasting, performance-proven radial tires and polished aluminum modular wheels. Setting the tone for a unique visual experience and ride. 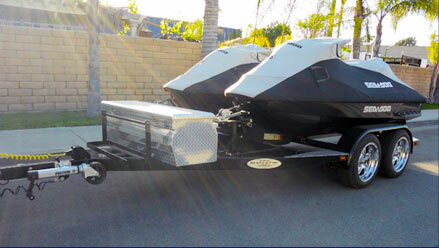 Every Shadow trailer is hand crafted using the best materials available, and custom built in Cypress California. 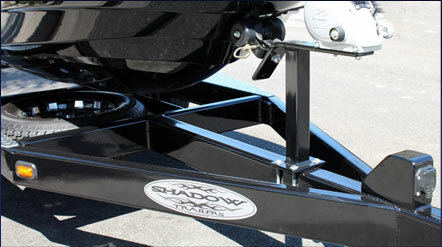 Our four inch drop axle lowers the center of gravity of the trailer improving the ease of loading and unloading for your watercraft. The double eye leaf springs and pivoting suspension makes for a more smoother ride. 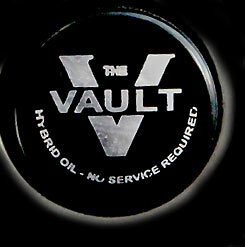 The Vault Hybrid Lubrication System offers the ultimate in wheel bearing lubrication and protection. The benefit is no inspection, no maintenance and no service required. Our extended front tongue allows more room for the vehicle doors to swing open. 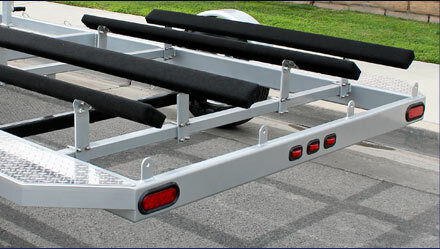 This also permits the tail gates to flip down safely on your utility vehicle as well as provides more room for a better turning radius. Miles ahead of paint is our high-gloss powder coat finish. This finish is chip resistant, UV protectant and highly resilient to the elements- lasting for years and years. 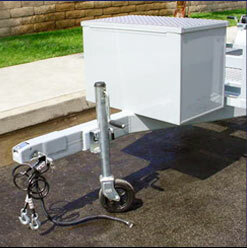 Hot dipped galvanizing (internal and external) is the only way to deal with salt water corrosion. This silver galvanized coating may be an undesirable color for some. 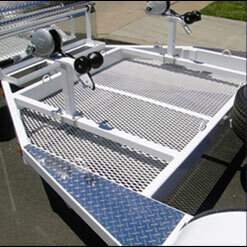 Hence, we offer a galvanized plus powder coated finish option. This is just as bullet proof as a finish gets (extra cost option).